Modularity… Performance… Precision is what our high speed drill machine known for, available at most competitive rates worldwide. We are known as ingenious manufacturer, supplier and exporter of the qualitative range of high speed drill machine, as we are excellent in addressing the problems facing clients during the operation high speed drilling machine, reaming or tapping. The consideration of client side need and detailed study before configuration is what has made us capable to configure a high speed drill machine that delivers high speed drilling accurately together with efficiency. 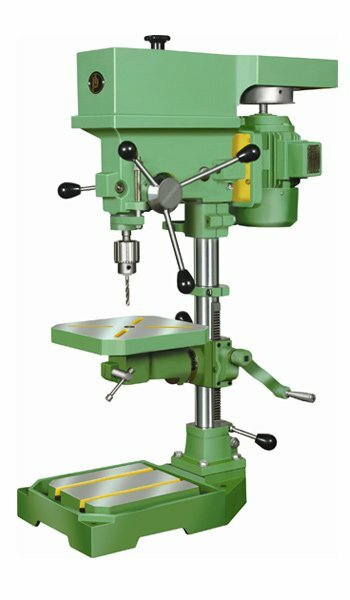 Our cautiousness concerning quality material, precision and testing is equally responsible for the range of the high speed drill machine featured with high speed output, consistent output, consistent accuracy and continuous operation. 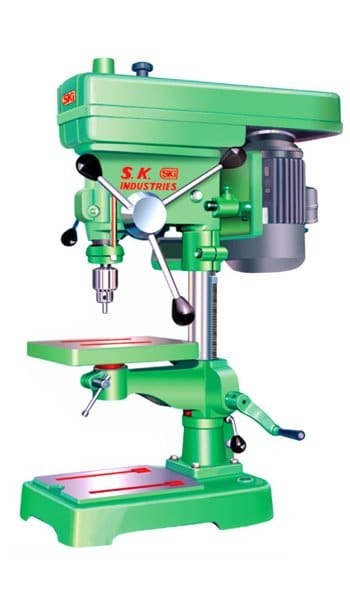 This high speed drill machine is available in the widest range of the diameter, among 6mm high speed drill machine has gained highest popularity in the miscellaneous industries. This 6mm high speed drill machine is employed for carrying out 6mm diameter drilling, reaming and tapping at the utmost speed and accuracy. Other than, achieving such a high speed operation at the cost efficient rate is what makes us a leader in the market and legendary as nonpareil quality based 6mm high speed drill machine manufacturer, supplier and exporter. The exceptional caution towards its configuration to make it absolutely fault free is a reason for it’s absolutely interruption free performance span the life. We believe any problem in the drill machine can be resolved by adopting latest technology and executing quality control processes and this is what we have done while we have manufactured 6mm high speed drill machine. Our significant investment in the skilled engineers and cutting edge technology results in a highly engineered 6mm high speed drill machine. The machine is severely tested too, with the help of the professional team of quality checkers against quality, high speed, impeccability and reliability. Apart from the considerable watch on the quality operation, quality material is equally essential to deliver the highest quality in the 6mm high speed drill machine, a machine that has gear, head and spindle made of the hardened alloy steel, whereas other parts are made of the excellent quality stainless steel material. Further, the obvious proof of our adherence to precision is apparent from the perfectly balanced pulley and gears integrated in the offered 6mm high speed drill machine. Our belief to walk with pace together with the rigorous demand of the customers for its remarkable quality, we as a manufacturer, supplier and exporter provide this 6mm high speed drill machine in an extensive range. The range is assured for the strong compliance with the ISO 9001:2000 standards and for the absolutely noise and vibration free operation, even at the highest speed. The accuracy with the imperative speed is what has made our 6mm high speed drill machine a top choice in the industries to accomplish drilling, reaming and tapping operation in a timely manner, is also available in bespoke specification at the cutting rates that must going to delight each. Motor 3 Phase,induction, A.C. 0.37 KW. / 0.5 HP. Standard Accessories: Pulley for Motor (Aluminum). Extra Accessories & Equipments: 0.50 HP 2880 RPM Electric Motor, Drill Chuck, Drill Vice, V-Belt, Switch.